Expert plumbers will have the necessary skill and experience when it comes to plumbing, whether you need emergency plumbing repairs or a new hot water heater installed. Researching your options will enable you to find the best plumbing contractors in Monterey County among those in the major cities of Salinas, Marina, Greenfield, Seaside, Monterey and Soledad, as well as the plumbers in the smaller towns and West County. It’s wise to ask the plumbers in the larger Monterey County cities such as Salinas, Seaside, Soledad, Marina and Monterey if they charge a flat rate for the plumbing work or if they charge a rate based on the time and materials used. You should also find out if they charge a driving fee to come to your location or if they will bill you for time spent having to drive to pick up needed parts they don’t have on-hand. This way, you can compare the rates of local plumbers and get a better idea of what each plumbing company charges for their services. Plumbers in Monterey County perform various plumbing tasks, so it’s important that you know what you need from a plumbing contractor before you pick up the phone. 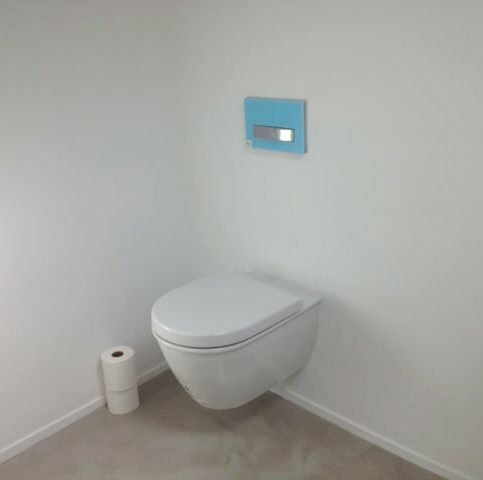 By having a clear idea of the type and scope of project, you’re more likely to find a good plumber that has the skills and experience to complete your job. Here are some sample questions to get you started. What characteristics and professional qualities do I want in a Monterey County plumber? These may include promptness, reliability, good communication skills, and follow-up services. Have you completed any similar recent projects in my area of Monterey County? It’s best to choose a Diamond Certified plumbers because all certified companies have passed an in-depth ratings process that most other companies can’t pass. If you want quality from a plumbing contractor in Monterey County and the greater Bay Area, you can have confidence choosing a Diamond Certified company. Diamond Certified reports are available online for all certified companies. And you’ll never be fooled by fake reviews. That’s because all research is performed in live telephone interviews of actual customers. If you live in a smaller Monterey County town such as Old Hilltown, Valleton, Oak Hills, Fort Romie, Chualar, Gorda, Cooper, Big Sur, Bolsa Knolls or Cottage Corners, did the plumbers charge extra to travel to your home? It’s important to know that some good plumbing contractors in Monterey County are choosy about which jobs they accept. This is because bids take time and expense to prepare, and some of these local plumbers have been taken advantage of by unreasonable homeowners. How can you encourage the best plumbing contractors to be interested in your job? Interview and hire local plumbing companies in Monterey County including the larger cities of Salinas, Soledad, Seaside, Monterey and Marina. Most plumbers like to work in the local area, since it allows them to provide more timely service. It also helps you weed out less reliable plumbing contractors who travel long distances and install discounted products at a cut-rate that local contractors may not be able to compete with price-wise. Congratulations! You’ve found a good plumbing company that meets all of your requirements. 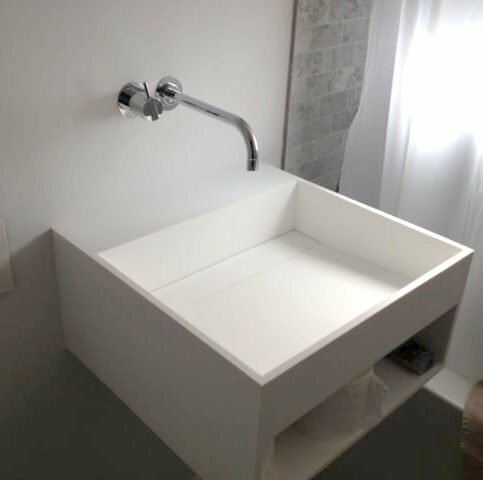 Whether you’ve chosen a plumber from the larger cities of Salinas, Seaside, Monterey, Soledad, Marina, Pacific Grove, Hollister, Greenfield, King City and Gonzales or a smaller town, now is the time to request a contract for the work desired. 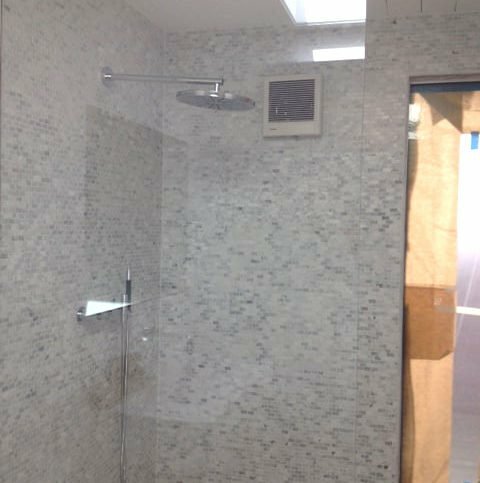 It’s your plumber’s responsibility install quality plumbing systems and fixtures using the best possible techniques. But you play a big part in the success of your plumbing repairs and installations, too. Here are a few simple steps you can take to be a good customer when hiring a Monterey County plumber. Be sure your Monterey County plumbing service representative has a phone number where they can reach you at all times. The plumbing work will move along more smoothly if your plumber can reach you for updates, questions or work authorizations. Why would you want to be a good customer for Monterey County plumbers? Plumbers appreciate customers who are honest, straightforward and easy to work with. Your good customer behavior sets the tone from your end and creates an environment conducive to a good relationship. Things may go smoother and problems may be more easily resolved. Plumbing contractors in Monterey County often are called to repair and install the following plumbing service requests. Toilet repairs in Monterey County include tank repair, toilet leak repair, toilet flange repair, wax ring replacement, toilet bowl repair, toilet valve repairs, repairs for running toilets, toilet part replacements, toilet handle repairs, toilet seat repair and flush repair. Plumbing services (which may include emergency plumbing services) are any type of plumbing installation or repair. Some local plumbers in Monterey County including those in the larger cities of Salinas, Seaside, Monterey, Soledad, Marina, Pacific Grove, Hollister, Greenfield, King City and Gonzales are known for commercial and industrial plumbing services, while others specialize in residential plumbing services. Commercial plumbing services in Monterey County are those that deal with plumbing repairs and installations in commercial buildings, including stores, schools, offices, hospitals, libraries and warehouses. Commercial plumbing is often on a much larger scale than residential plumbing and may require a different set of tools, knowledge and skills. Commercial plumbers may also perform industrial plumbing services and plumbing for warehouses. 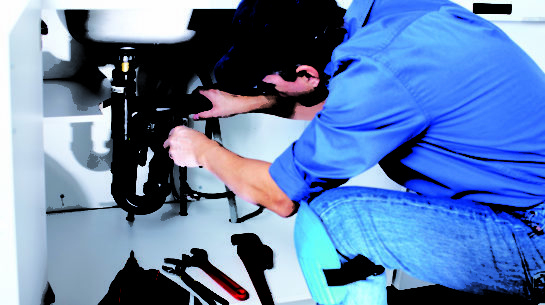 Emergency plumbing services are any unscheduled plumbing repairs provided by a local plumber. These may include kitchen and bathroom plumbing leaks, clogged pipes, burst pipes, sewer line clogs, drain leaks, toilet repairs, and main water line repairs. Some Monterey County plumbers offer 24-hour emergency plumbing repairs. The following are the top 10 requested plumbing fixture brands installed by plumbing contractors within the following Monterey County cities. Below are plumbing glossary terms and descriptions that will help you navigate your way through your plumbing repairs and installation services in Monterey County, including in the larger cities of Marina, Pacific Grove, Seaside, Hollister, Greenfield, Salinas, Monterey, Soledad, King City and Gonzales. Commercial plumbing is any plumbing repairs or installations that take place in a commercial building. Commercial plumbing is different than residential plumbing because it often deals with commercial-sized water heaters, boilers, larger piping and more involved plumbing systems. Some plumbing contractors in Monterey County specialize in commercial plumbing while others focus on residential plumbing. A few plumbing companies will provide plumbing services and repairs for residential, commercial and industrial clients. Q: Why won’t some plumbers in Monterey County give estimates over the phone? Q: Is it an advantage to hire a Monterey County plumber who carries parts and equipment in their work trucks? Q: What other water saving and energy saving plumbing fixtures are available in Monterey County? A: These days, there are many options for energy-saving plumbing fixtures, or green plumbing solutions. Some include air-assisted toilets, gravity toilets, power-assisted toilets, aerators, green plumbing fixtures, tankless water heaters, gray water recycling fixtures, composting toilets, dual-flush toilets, waterless urinals, sensor-operated faucets, solar water heaters, hot water re-circulating pumps and many others. Call your local plumbing contractor in Monterey County for more information on available water-saving plumbing products and which ones will work best for you. A: You may be able to fix clogged drains and stopped up sinks by using drain-cleaning chemicals you buy at the store or a non-toxic baking soda drain cleaner. However, for tough clogs that you can’t clear after a few attempts or drains and pipes that clog constantly, you may need to call a Monterey County plumbing company to professionally remove the clog or snake out your pipes and drains to keep clogs from forming in the future. A: First, have a good plumber confirm that you have roots in your piping. 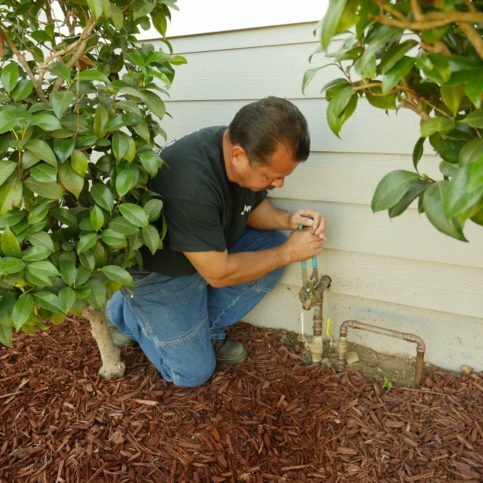 Some plumbers in Monterey County have camera equipment that can prove where the problem is, that it is roots growing in the pipes, and can give them a view of how to repair the problem. They can also advise you on the best method to prevent the problem. This may entail removing the bushes or trees that are growing into the piping, using a root-killing product, replacing the affected pipe with a stronger material, or snaking out the pipe or using high-pressure water to jet out the pipe and line it with an epoxy material.